The cinematic equivalent of trepanning a mermaid. THE TREE: A short film preceding the next feature. It's a look at the Christmas and post-Christmas season, from the point of view of a Christmas tree. 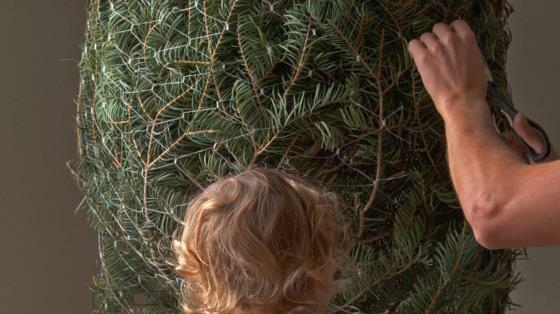 It's happy for a while, but of course the life of a Christmas tree is short and ends in a chipper. 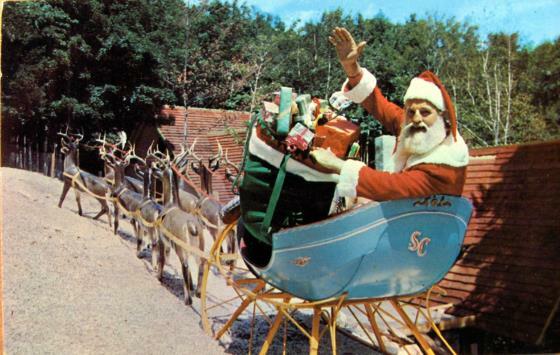 NORTH POLE, NY: A look at the history and current state of Santa's Workshop, a theme park in the mountains of upstate New York. Once the area was dotted with theme parks, but now this is pretty much the only one left. Times have changed, road trips to quirky destinations just aren't as much of a thing anymore. The digital world has forgotten a lot of the analog pleasures. But this place has survived, as a local institution. We follow its history, including the time con-men bought the park and almost destroyed it, but the town rallied and saved it (sounds like a cheesy movie, but it was completely true.) There's also a genuine love for the place, from the locals who work there and from the fans, many of whom visited many times as kids, and are now taking their own kids there. It's a charming slice of Americana. GETTING OVER: Ray Charnick was a heroin addict. In 1997, his brother Arnie recorded 17 hours of interviews with him, as he was on his deathbed (if I recall correctly, from HIV.) He subsequently passed the tapes on to Ray's son Jason. Who waited, and eventually when he felt the time was right, he watched the tapes. And with the flood of emotions, made this deeply personally documentary. His father was absent nearly all of his life. And we get to witness as he--for all intents and purposes--"meets" his father for the first time. There's anger, frustration, but also a bit of understanding and sympathy. You know, all the frustrations of family and history, times about a million. At times you might wonder who on Earth would want to watch essentially someone else's home movie--and not a home movie of happy times, but a home movie of anger and frustration. The answer is, I would. This is the type of intensely personal documentaries I eat up, even if they don't always have the highest entertainment value. THE DAWN WALL: I remember this story from a few years back. 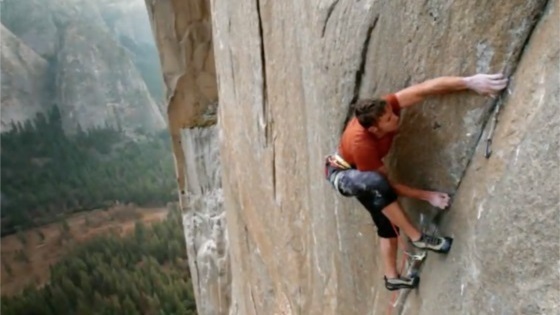 A pair of climbers doing a free ascent of the hardest, barest, sheer vertical wall on El Capitan in Yosemite. This is that story, as well as the backstory of Tommy Caldwell. A climbing prodigy, a survivor of a terrorist kidnapping, a guy who killed (spoiler: or so he thought!) his captor, a guy missing the tip of his finger in a home construction accident... Okay, that last one should've ended his professional climbing career. And in complete digression, this reminds me of Harold Lloyd, famous silent film comedian. 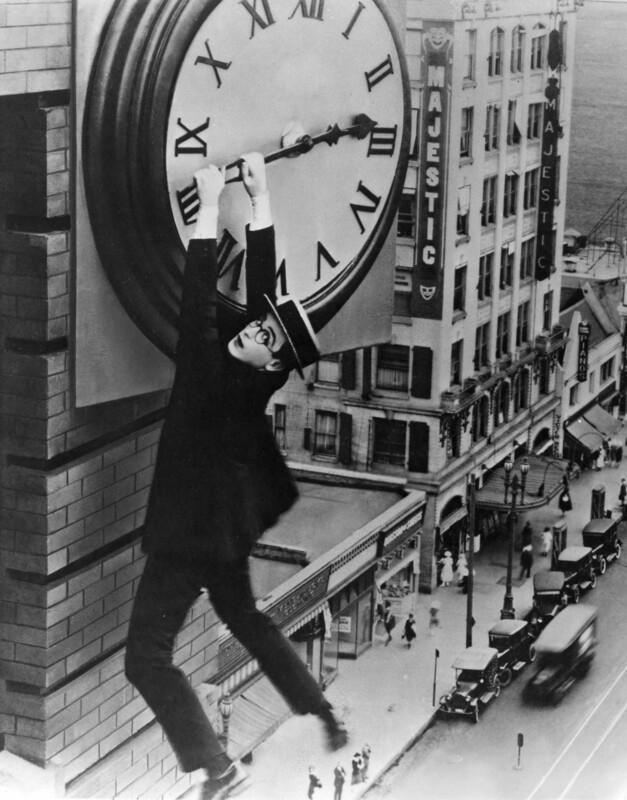 Even if you don't know his name, you've seen him hanging from a clock in a very famous picture (below.) Well, it so happens that due to an accident with a prop bomb that turned out not to be a prop, Lloyd was missing the index finger and thumb on his right hand. Anyway, Tommy, rather than letting a missing fingertip end his career, came back with a vengeance, making record fast runs up El Capitan. Pioneering new routes (any one new route makes you famous, so he did several.) And finally, with a new climbing partner Kevin Jorgeson, they make their ascent up the Dawn Wall. And they totally trigger my acrophobia about 100 times more than the early parts of the movie (which was already kinda triggering me.) Long story short, they make it, the movie's amazing, and I couldn't sleep for a couple of nights because every time I closed my eyes I'd flash back to one of those dizzying views. INSTANT DREAMS: And finally I ended the weekend on this odd, semi-experimental nostalgia piece to Polaroid. With digital photography taking over, in 2008 Polaroid announced it would stop manufacturing instant film cameras. The thing is, in the digital world Polaroid isn't even instant. You have to wait a minute. And you can't just delete the pictures that don't come out well. So it's an interesting bridge from the old film that took time to develop to the maybe too-instant digital world. Anyway, the film bounces from photographer to photographer, and also to a team of scientists, engineers, and inventors who are trying to recreate the Polaroid formula and bring back instant film. A fascinating, surreal experience. Either dream-like, or I was so exhausted that I was snoozing and what I remember was partially, literally dreams. Okay, it's been good month and a half, I guess I should try to catch up on my blog. 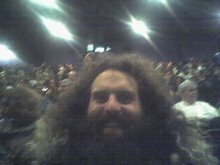 Note: the first three shows I wrote up shortly after seeing them. The last two from this post I'm writing much later. With that in mind, let's see if I can catch up. The first show started with the short ESPANOMICS, a survey of various Latinas and their challenges coming to the United States and making a living (with hopefully enough left over to send home to their family.) It's about survivors, and the kind of survivors who redouble their efforts to help the next generation have it a little easier. That was the perfect lead-in to ADIOS AMOR--THE SEARCH FOR MARIA MORENO. It starts out as director Laurie Coyle's story. She was a researcher for a documentary about Cesar Chavez, and kept coming across photographs of this woman organizer with several children beside her. She didn't recognize her, apparently this woman was a leading organizer, but had been mostly written out of history. 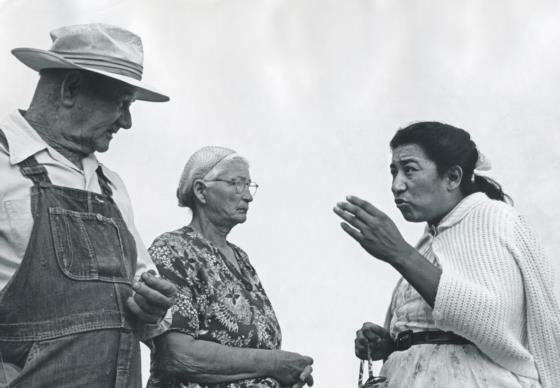 So she did some digging, interviewed people who identified her as Maria Moreno, who was a leader in the Agricultural Worker's Organizing Committee. She was a pre-cursor to Cesar Chavez and Dolores Huerta, and the reason's she isn't as well remembered (and she wasn't a part of their UFW movement) kind of boils down to internal politics. Anyway, after Coyle gets the basics, she is smart to pivot the film from the story of her search to the story of Maria. Her work, how she became something of a travelling spiritual leader after leaving union organizing (she never stopped working to improve people's lives,) her children and grandchildren. And her unfortunate passing in 1989. Much of the last half of the film is told by her children and grandchildren, and gives a beautiful portrait of a mother working to make sure her children didn't go hungry, and along the way decided the best way to do that was to make sure no children go hungry. It's also a fascinating story of how some very important people can still be lost to history, and their lessons lost with them. Thankfully, Maria's story is being recovered. Maria Moreno, being the leader she was. Next up was BEAUTIFUL THINGS, really more of an experimental art film than a documentary, it takes us through oil fields, household knick-knacks, big ocean freighters, anechoic chambers, and dumps where trash is burned for energy. With an eerie score and absolutely beautiful cinematography, it takes you on a certain kind of journey. A journey that I'm afraid I wasn't ready for, and definitely wasn't well-rested enough for. Yeah, I snoozed a little in this one. It's actually not a bad movie to catch a few winks in, since you won't miss any of the non-existent plot, and every time you open your eyes you'll be looking at something beautiful. Then the next show started with a short, CAJUN DEMONOLOGIST. On Friday the 13th, a team of exorcists banish evil spirits from possessed people and haunted houses on the bayou. Needless to say, they don't find anything that can show up on a movie as evidence that demons and evil spirits are real. That was the lead-in to RODENTS OF UNUSUAL SIZE, the documentary about nutria. Bias alert, I am a Kickstarter backer of the film, and loved seeing my name in the credits. More importantly, I'm very, very proud to be a Kickstarter backer of this awesome film. Nutria are giant 20 lb "swamp rats" and an invasive species. They were originally imported from Argentina in the 30s, as a cheap source of fur to help the local economy. They escaped and grew wild. 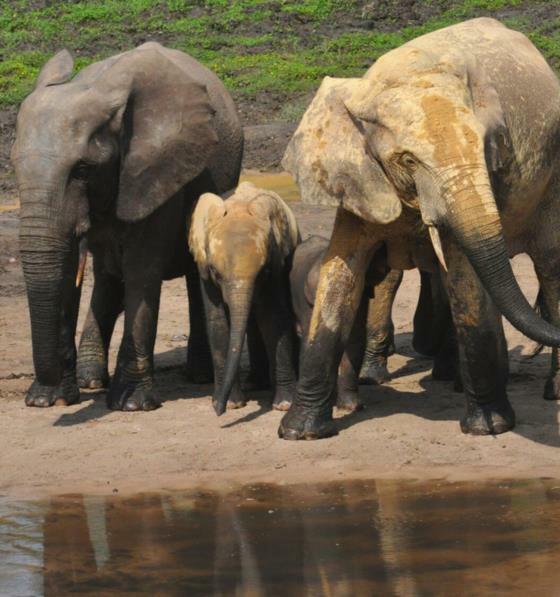 Turns out with not many predators, the warm, swampy environment was ideal. And it wasn't a problem at first, it just mean all the locals could hunt wild nutria for their fur. Then, in the 80s, animal rights activists' war on fur caused the bottom to drop out of the fur market. It was no longer profitable to hunt nutria. So their population exploded. And they ate all the grassy vegetation--down to the roots. And the lack of those roots holding the soil together contributed to coastal erosion (how do you enjoy those unintended consequences, eco-warriors? The war on fur directly contributed to the erosion of the Louisiana gulf coast!) 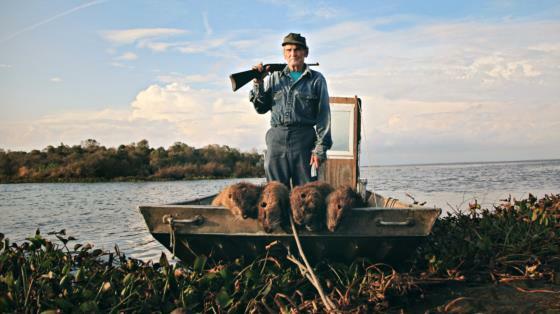 Now the state of Louisiana has put a bounty on nutria, they'll pay you to kill them. All you need to bring is the tail. Of course, if you want to use all of the animal, their fur is nice, and allegedly they taste like turkey dark meat. They're total vegetarians, so they have very clean, tasty meat. That is, if you can get over the fact that you're essentially eating a giant rat. I could do that, it's just really damn hard to find nutria meat over here. Anyway, the movie gives you a ton of information, and introduces you to some wonderful people just trying to make a living with what the land gives them. And it's really darn funny and entertaining, too. Thomas Gonzalez, with his haul. Worth $5 a tail. 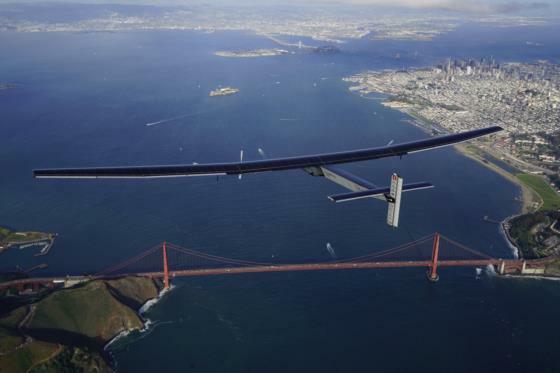 Next up was POINT OF NO RETURN, the story of the Solar Impulse fuel-less flight around the world, and the huge team that made it possible. Especially Bertrand Piccard (the Enterprise Captain is allegedly named after one or more of his ancestors) and André Borschberg. It's tense, and emotional times. The plane is extremely fragile, and can only fly in good whether. The Pacific leg was the hardest, both technically and emotionally. They end up making an emergency landing in Japan, and staying in Hawaii until the spring. Disagreement with the engineers and the adventurers are the central tension in the movie. And the part I was most anticipating--their stop at Moffett Field, where one of my friends who worked for NASA met them. However, that's not in the film, they only show the night landing and the small group there to meet them, not the meet-and-greet the next day with NASA employees. The technology is not practical for commercial flight yet, and a cynic could easily point to the carbon footprint of their support team. But they're not carrying passengers, they're carrying an idea. And an idea can grow and be expanded upon, until it is practical. Here's hoping something like that happens. And finally I ended the night with MEXMAN, a movie that starts off about an insanely creative guy and devolves into being about an insane guy. Germán Alonso is a star film student, brash, creative, overflowing with manic ideas. But there are obstacles, both technical and personal, and his big break at a feature film never really pans out. He does some amazing things with puppetry, and that seems like more of a personal creative outlet. But his big vision...well, it goes from how it's hard for him to work with other people, to how hard it is for anyone to work with him. I had thoughts about the confluence of insanity and creativity, but that's not really addressed in the film. 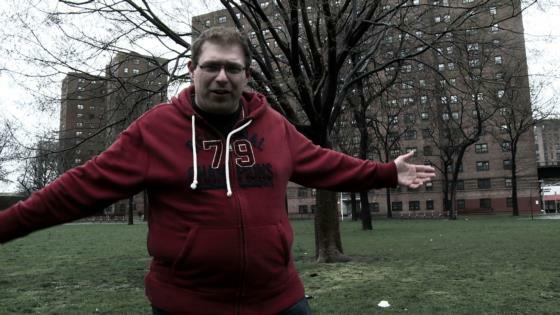 Instead, by the end, I got the sense that the documentary crew was just tired of being around him. I know I was. He was, for the record, a little more tolerable during the Q&A. Get posts e-mailed to you by joining my Google Group. For you Luddites who don't use RSS readers.